1 Bed 1 Bath 586 Sq. ft.
Villa Aqua is located on the famed Ocean Blvd. 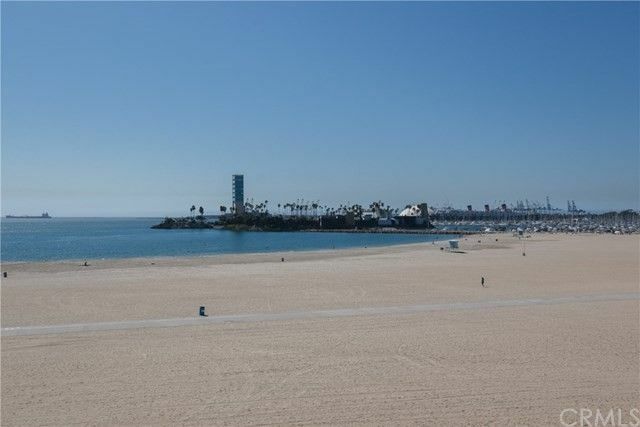 strip of Long Beach and offers a terrific California Coastal lifestyle with entertaining,shopping and the beach just steps out your front door! This mid century inspired complex offers LOW HOA dues,recently updated electrical and plumbing, a fabulous community pool and secure entry. This top floor location offers new flooring,plenty of closet and storage space and an nice open floor plan which make this residence a must see. There is also a large picture window in the living room offering pool and courtyard outlooks! With easy access to the beach(just steps out your front door), nearby Belmont Shore and all of the exciting lifestyle and entertaining options offered by the hip and rejuvenated East Village Arts District, Downtown, Pike Entertainment and shopping complex and Pine Ave. of Long Beach, make this home is sure to impress! You will also want to take advantage of nearby Bluff Park and the many walking and biking paths along the beach and within the Alamitos Beach community that make Long Beach a great place to enjoy an active as well as the coastal amenities and views! 1 beds 1 Bath 586 Sq. ft.